Birthday boy stars foil balloon that measures approximately 18 inches. 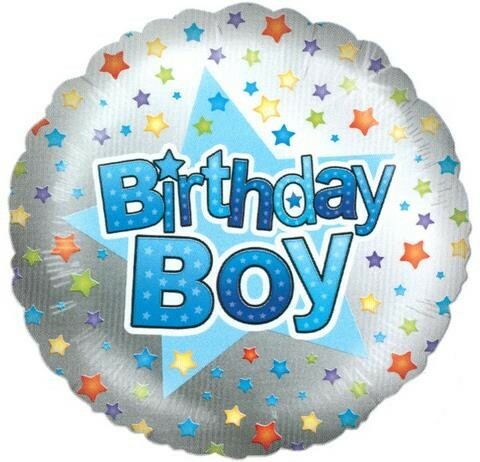 Foil has a silver background; the message that reads 'Birthday Boy!' in shades of blue in the centre and an assorted star design all over. Includes plastic weight and ribbon. A helium fill balloon that can also be air filled and suspended.